A truly uplifting experience – try our sinfully rich caramel topping on your next crispy apple or bowl of ice cream! Available in two sizes. 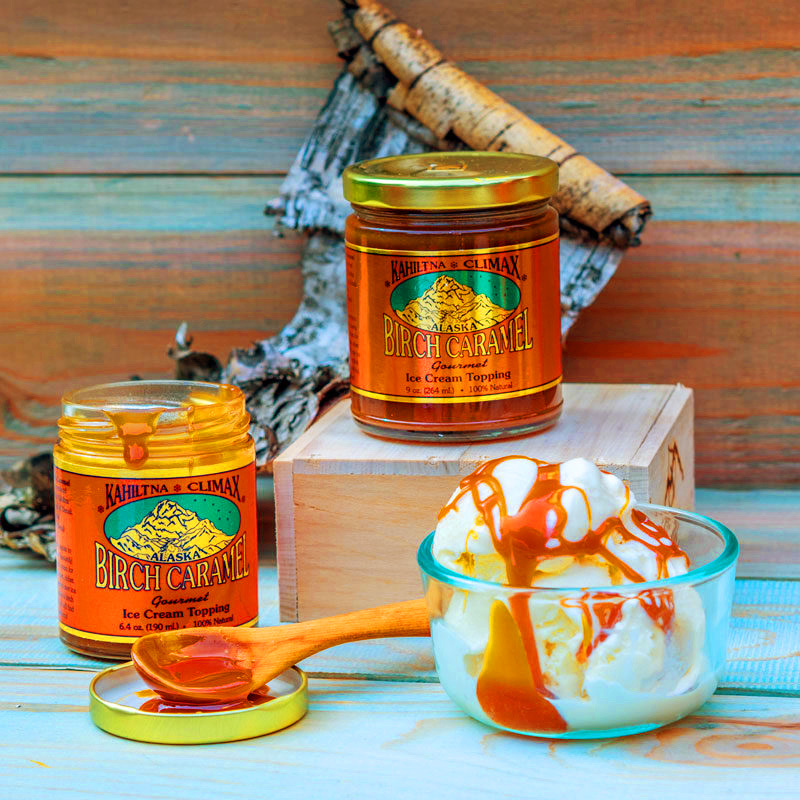 Kahiltna Climax Gourmet Birch Caramel Ice Cream Topping is the local favorite in Alaska. It is a sinfully rich, thick and delicious blend of birch syrup, butter, cream, and sugars that are also wonderful on fruit, toast, or muffins. Of course, it can also be eaten straight out of the jar! Our caramel topping contains cream and milk from our local dairy when available. It also contains birch syrup, cane sugar and a small amount of corn syrup for stability. Cane Sugar, Birch Syrup, Cream, Milk, Butter, Corn Syrup. Contains dairy and corn.